The first week of my sabbatical felt like vacation – something I would enjoy but return from. This was especially true because I was actually on a vacation – an out of state family reunion. The second and third weeks were some combination of an extended vacation and extra long Saturday. We had a few trips – planned and spontaneous. When not on the road I spent a lot of time on important but non-urgent tasks I had been putting off for a few months – things like getting a recalled part of the car repaired or fixing/assembling items that had accumulated on my workbench. One month in and a new normal has appeared. We have more of a routine and I have less of a backlog. Things feel like they have reached an equilibrium. Being dual stay-at-home parents allows time to rest, but three children (and one in the womb) creates enough work to fill the better part of two people’s schedules. It does so in a less hectic way than before though. Where there was previously a full day of one-on-three survival, there are now more times for one-on-one bonding. We are each getting to spend time individually with each child. I’ve enjoyed introducing my eldest son to LEGOs, singing & laughing with my middle son and working on new words with my girl. The pace feels slower overall. I went on a two hour walk in the woods this morning with my boys. 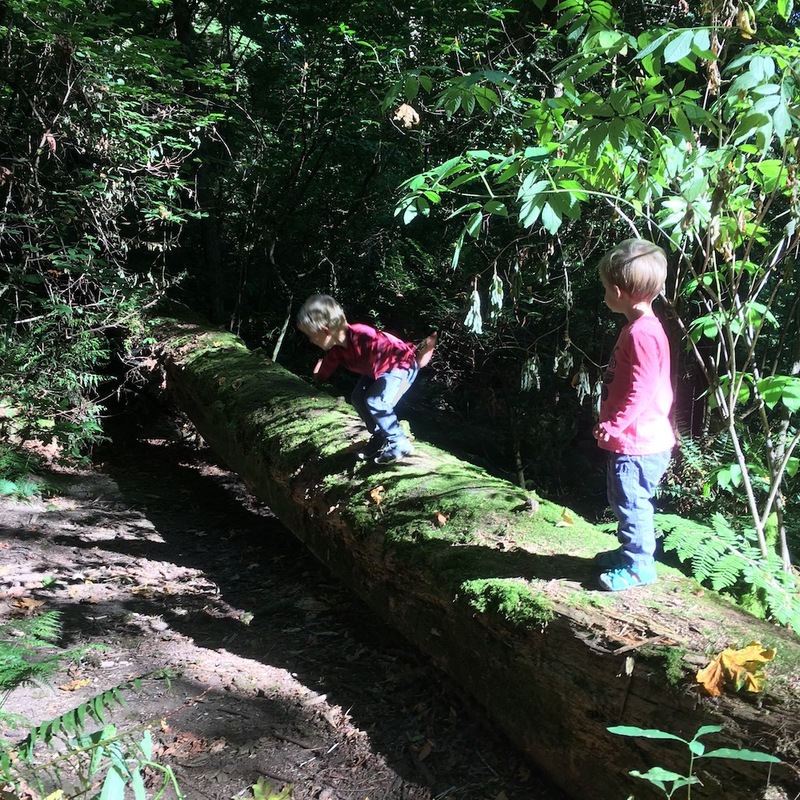 We didn’t have anywhere specifically to go or really any specific time to get home – we were just playing in the woods to our heart’s delight until we ran out of food or energy. My wife was at home doing some housework and resting while our little girl slept. When everyone is awake we’ll go on a walk to enjoy the summer’s bounty. We’ve picked pounds and pounds of fruit from the local blackberry patches and neighbors with too many plums or strawberries to eat themselves. We’ve been eating cobblers like it is our job.